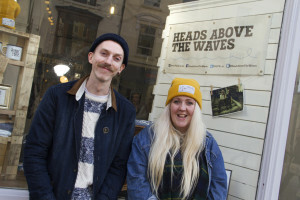 Heads Above The Waves is run by two 20-somethings looking to make a difference. We’ve all experienced self-harm first hand, in one form or another. Because we’ve been through it, we want to share our experiences and let others know: you’re not alone. We want to meet people on their level, without being childish and condescending, or cold and clinical. We’re not medical professionals; we’re just being ourselves, and connecting with people who feel the same way we have.